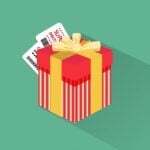 We’ve already reviewed some Magento 2 product feed extensions (by Mirasvit, Xtento, and Wyomind), and below we shed light on another prominent module of this kind – Amasty Product Feed for Magento 2. 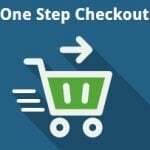 If you are looking for a tool that will help you create comprehensive product feeds for shopping engines, check the following post. 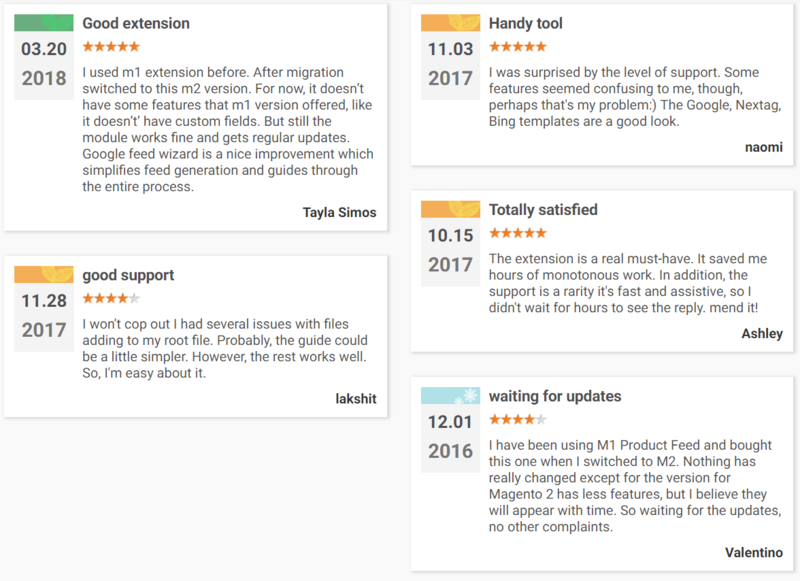 Take a look at what other users think about the Magento 2 product feed extension, and we will proceed to the backend tutorial. Action – each feed can be viewed or downloaded here. 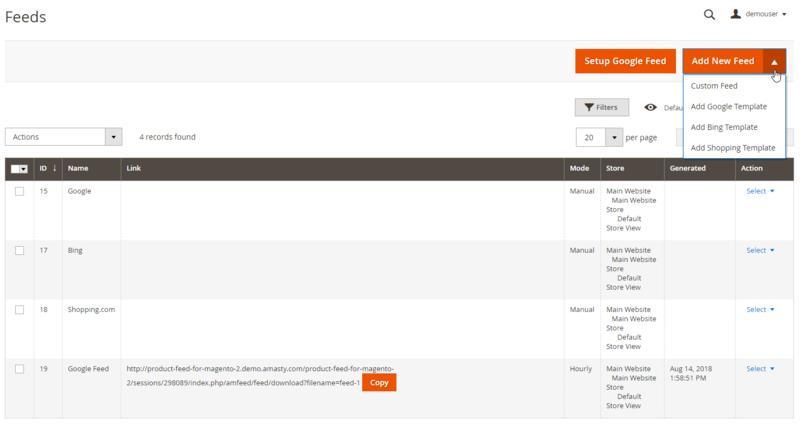 While adding a new custom feed with the Magento 2 product feed extension by Amasty, you have to deal with 6 tabs of settings: General, Content, Format, Conditions, Delivery, and Analytics. In the first one, specify a feed name, file name, type (CSV, XML, or TXT), store view, status (active or inactive), execution mode (manual or hourly, daily, weekly, monthly), cron execution time, and compression type (none, zip, gz, bz). Here you can also enable excluding disabled, out of stock, and not visible products from your product feed. If you select XML as a file format, you will need to configure the options in the Content tab. 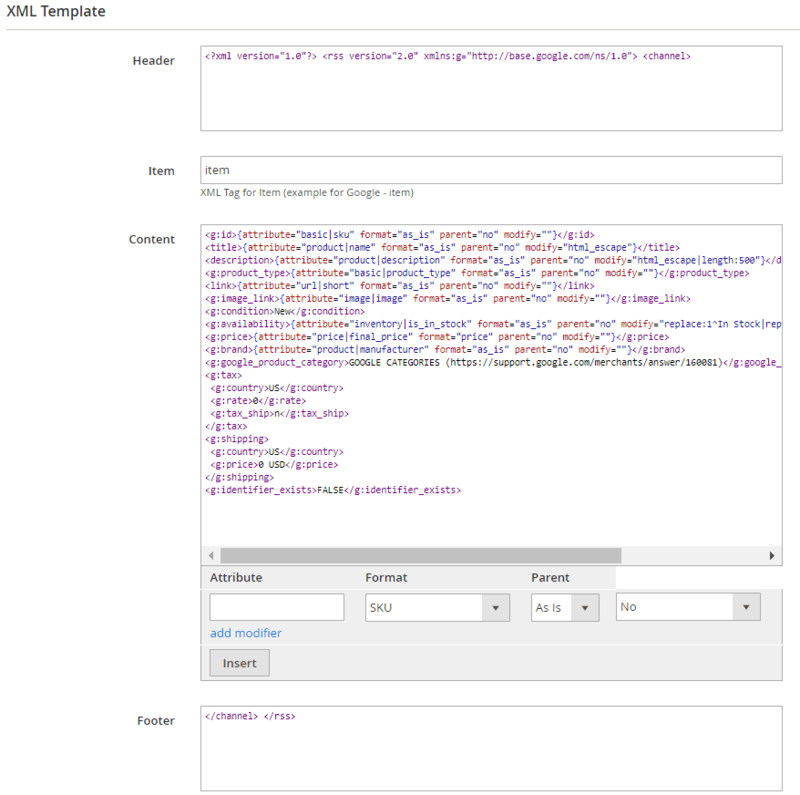 Here you specify the info for an XML header, XML tag (in the Item field), content, and XML footer. 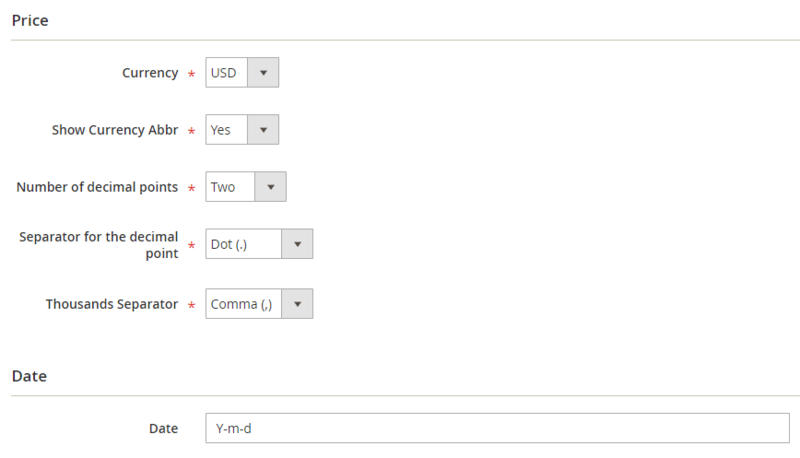 In Format, select currency, decide whether to show its abbreviation, set the number of decimal points, and choose separators for the decimal point and thousands. Next, specify a date format. 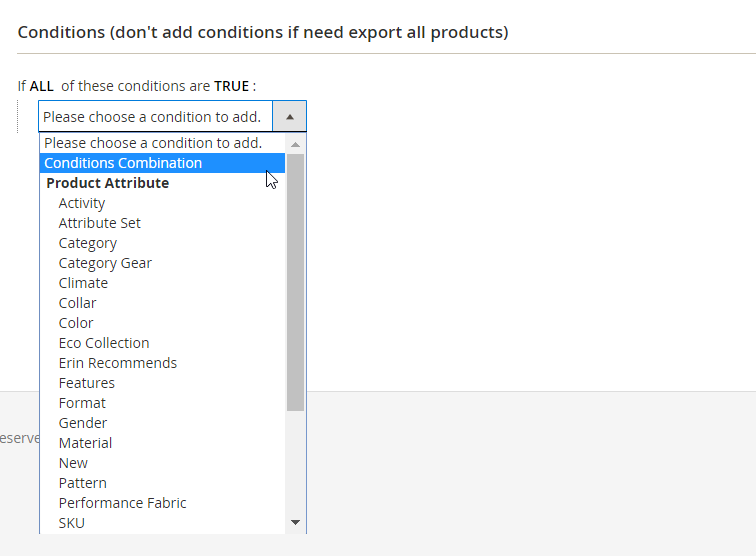 In Conditions, you can create specific conditions with the help of product attributes. 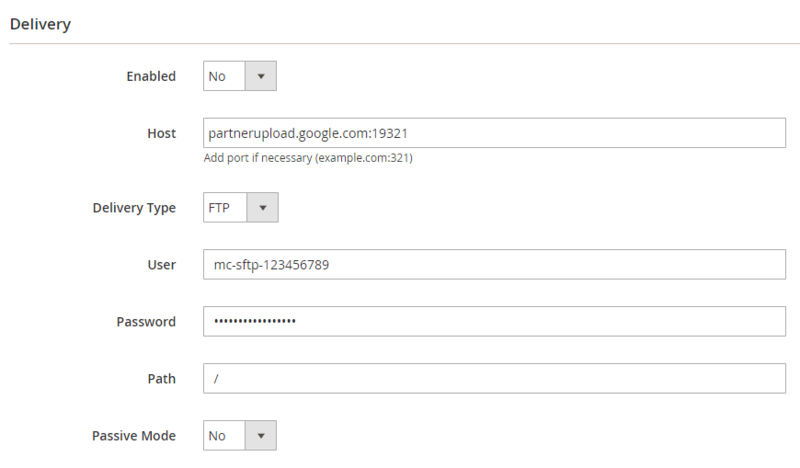 The next section of the Magento 2 product feed extension allows you to enable delivery, specify a server hostname, choose a delivery type (FTP or SFTP), enter user, password, and directory path, as well as enable/disable passive mode (for FTP type). 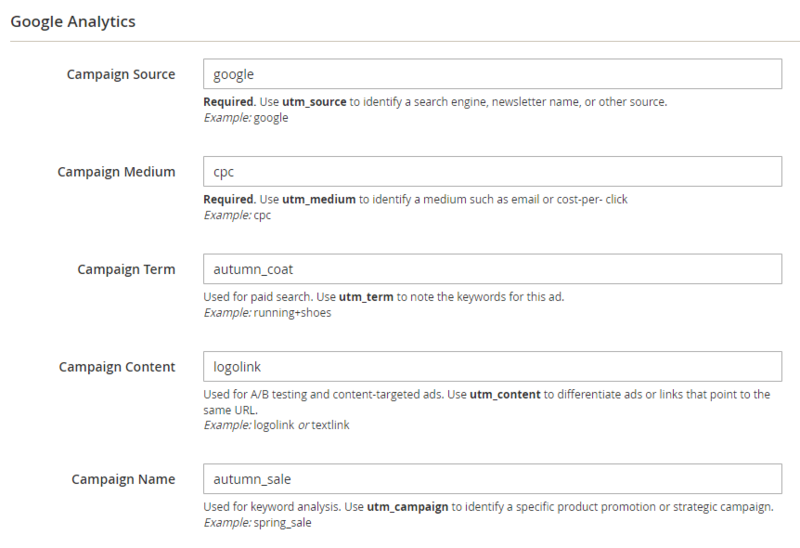 In Analytics, you should set parameters necessary for monitoring your campaign using your Google Analytics account: campaign source, medium, term, content, and name. 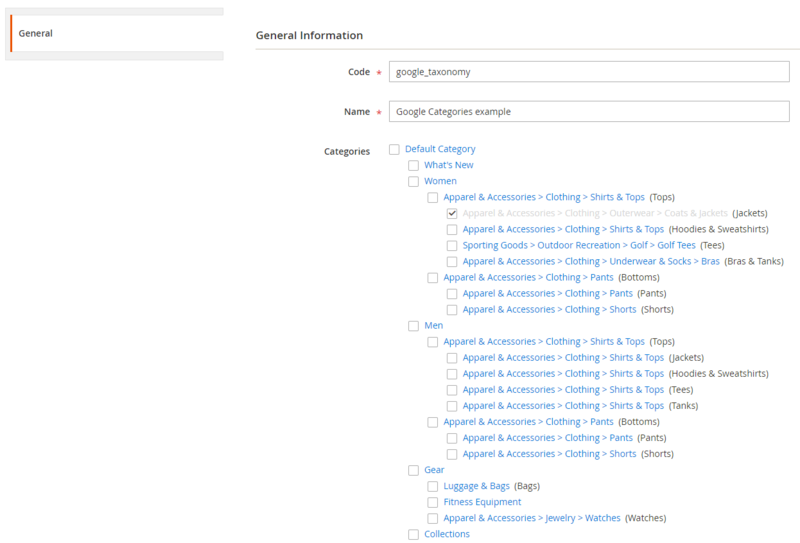 While adding a new category, you should specify its code and name, as well as adjust the category tree. Now, let’s see how to generate a feed using Google Feed Wizard provided by the Magento 2 product feeds extension. The wizard offers 4 steps to create a Google feed. 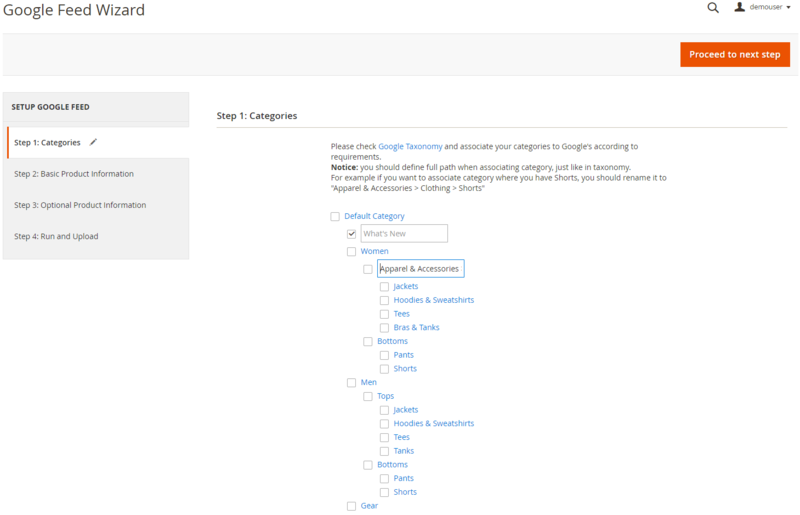 On the first step, you should associate your product categories to the Google Taxonomy. Then, click on the ‘Proceed to next step’ button to proceed to the next step. Basic Product Information fields are pre-filled, but you can make necessary changes if required. In the Options section on the same step, you can select a store view and price currency. 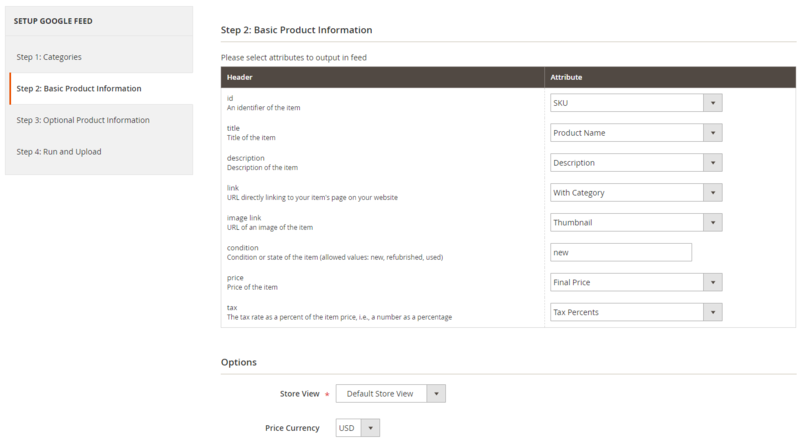 On Step 3, you configure optional product attributes. 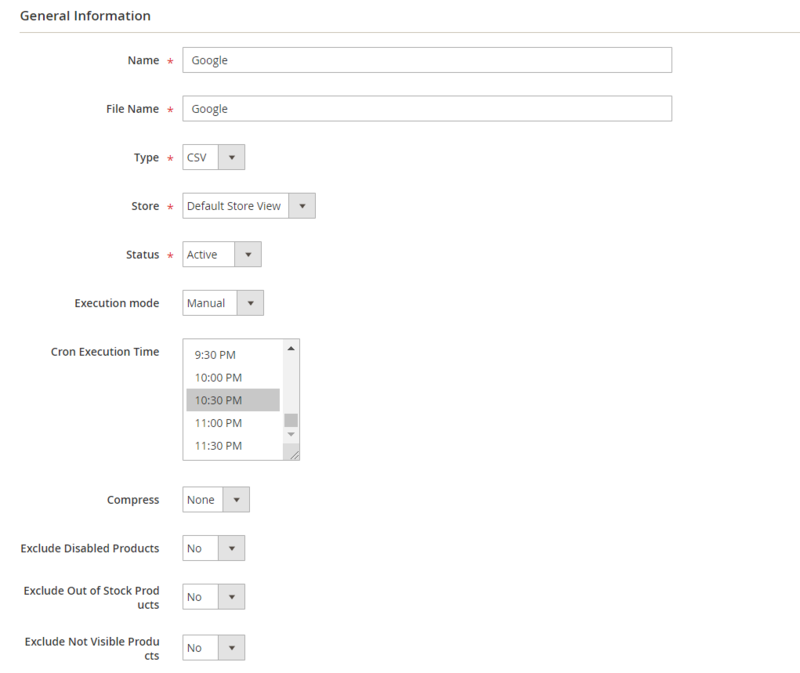 On the last step, specify a filename as you have set it in the Google Merchant, select an upload method, and fill in the fields with the host, login, and password. Then, decide how you want the feed to be generated: manually or automatically (hourly/daily/weekly/monthly). After you fill in all the required information, click on the ‘Finish and start generation’ button. As for the main settings of the Amasty Product Feed module for Magento 2, here you need to specify the number of products to be processed within one iteration (Batch Size) and select one of the options for the URL with category. New options: disabled, not visible, and out of stock products can be excluded from product feed. Possibility to copy a link to the custom feed on the product feed grid in one click was implemented. Now it is possible to export the “Product ID” attribute. 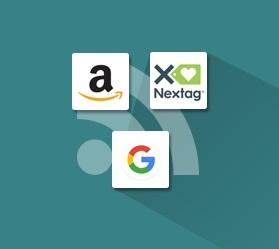 Google Feed Wizard was introduced: now it is possible to create a product feed for Google Merchant in 4 easy steps. A new option was added: now you can control whether the shortest or longest category path will be used in the output URL. ‘Product Enabled’ and ‘Stock Availability’ conditions are now available by default. Amasty Product Feed for Magento 2 is an easy-to-use tool for generating advanced product feeds. 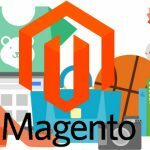 With the help of the Magento 2 product feed extension, you will connect your Magento 2 store to various third-party engines without any headaches. The price of the module is $199, and now you can buy it at a 10% discount for $179.